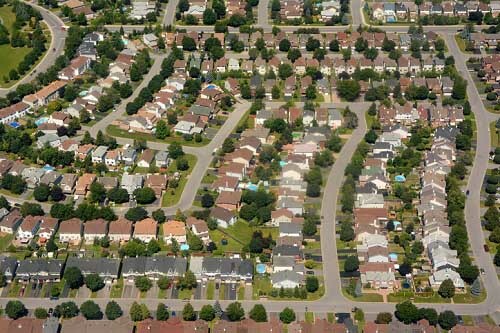 Toronto is said to be mired by land scarcity, and according to a Sutton Group Security Real Estate sales agent, building laneway housing could help reduce the pressure put on housing supply—which lags well behind demand. Sara Gaggi says the areas around Midtown are replete with laneways that could support a substantial amount of new housing. Citing the Cornell neighbourhood of Markham, Gaggi noted how developers routinely think outside of the box. “Before I was in real estate, I owned a contracting company with my husband, and in Markham, a city innovative for how they design houses, [developers] offered buyers choice to have an apartment suite above the garage, which were in the back of the home,” said Gaggi. “Some homeowners opted for that and they were able to get rental income from that to help out with their mortgages. While laneway housing could alleviate the pressure on an undersupplied city, hurdles—namely bureaucracy—do exist. Gaggi wonders how land could be recovered from homeowners, stating expropriation is the likeliest way. “A homeowner would have to take on home equity to finance that kind of dwelling, so ideally if you get someone with deeper pockets, like a developer, on board, does the government come in and buy back the land and then sell it to the right developer?” asks Gaggi. Infill homes were once unpopular, but today, with a paucity of available land, they’re in fashion—if only out of necessity.